Because court cases can drag on for years, courts sometimes issue a preliminary injunction at the beginning of litigation. The preliminary injunction serves to prevent the defendant from continuing to violate a patent while the lawsuit is in progress. Because it can destroy a defendant's business, courts will only grant a preliminary injunction if four requirements are met: the plaintiff is reasonably likely to prevail at court; the plaintiff is likely to be irreparably harmed; the threatened harm to the plaintiff outweighs the potential harm to the defendant; and the injunction serves the public interest. At the conclusion of a lawsuit, a court may choose to issue a permanent injunction. This forbids the defendant from repeating the action that was the subject of the lawsuit. Courts decide whether to issue permanent injunctions based on the same criteria used to decide on issuing preliminary injunctions except that, in addition, the court also checks to ensure that other remedies would not suffice to compensate for the harm. 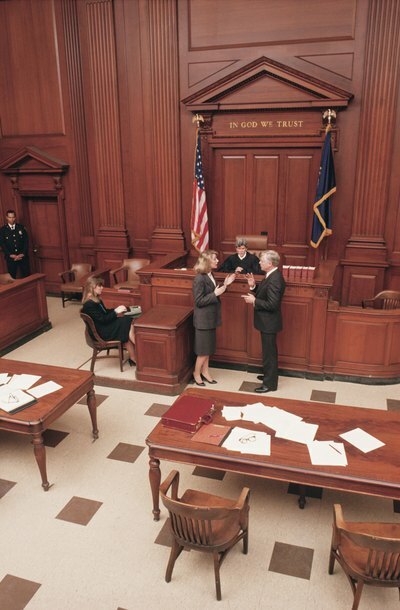 Even if the plaintiff prevails, a court does not necessarily issue a permanent injunction. Sometimes courts rely on other forms of relief. A court may award a plaintiff several types of compensatory damages that serve to compensate the holder of the patent. First, the court can require a defendant to pay back any profits lost by the holder of the patent. Second, the court can require the defendant to pay the ordinary royalty fees established by the patent holder. Finally, in the absence of an established royalty program, the defendant may have to pay the amount that the infringer likely would have paid if a royalty program had been in place. Courts award punitive damages, sometimes called "enhanced damages," when they find that a defendant knowingly and deliberately chose to ignore existing patent laws, without any reasonable basis for doing so. Punitive damages can amount to as much as three times the amount of ordinary compensatory damages. In very rare cases, a court might also require payment of attorney's fees by the losing party when the outcome of the case was especially obvious to the court from the commencement of litigation.